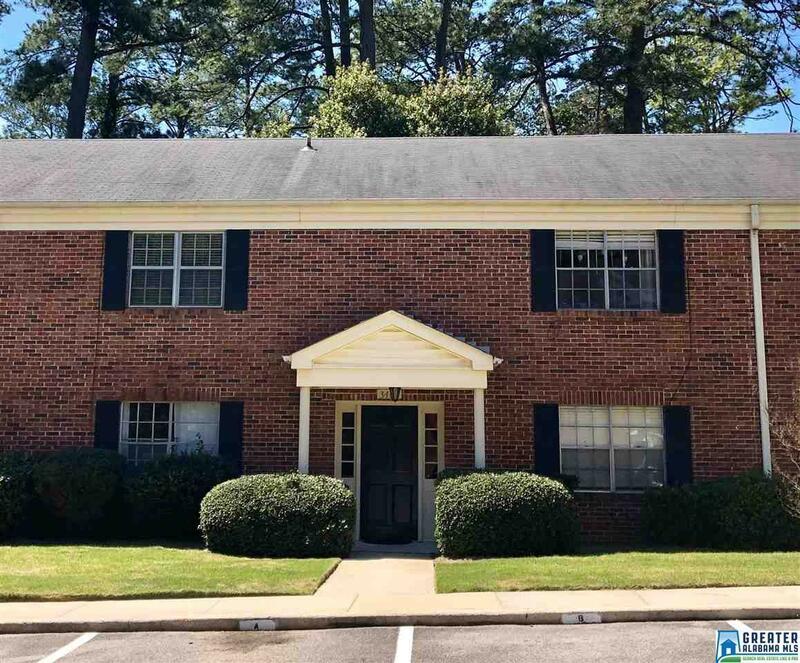 3405 Sandner Ct #C, Homewood, AL.| MLS# 845401 | Richard Jacks UABLIVING.com 205-910-2297 | Birmingham AL Real Estate | Contact us to request more information about our Homes for Sale in the Birmingham AL area. Adorable updated 1 Br / 1 Ba condo in Homewood. Entire unit has been freshly painted. Kitchen has beautiful wood cabinets, tile backsplash & granite countertops. New microwave that has never been used! New double paned sliding glass door leads out to quiet patio area. Laminate hardwoods in living / area dining and bedroom. New mirrored sliding closet door in bedroom. Separate closet for washer / dryer so it&apos;s not in the kitchen or in the coat closet! Bathroom has a lot of storage in the vanity as well as in the mirrored medicine cabinet and linen closet. Conveniently located to Samford University, Brookwood Mall & Hospital, and just minutes from downtown!